It’s been over twenty years since Moguai first exploded onto the dance music. 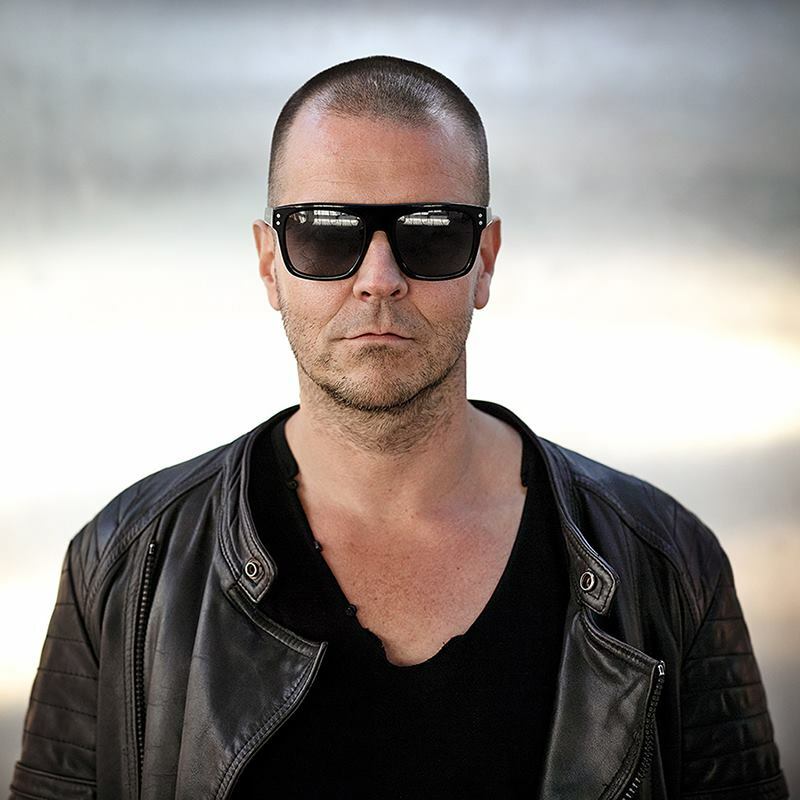 The globally acclaimed DJ and producer, André Tegeler—best known to fans as Moguai—has explored many realms of electronic dance music since the start of his musical career in the mid-1990s. Moguai’s successfully received “U Know Y” was released in 2002—and the rest is history. The Nocturnal Times sat down with the DJ and producer to discuss his earliest musical inspirations and how his influences have changed over the course of his career. Recently, Moguai teamed with Joey Beltram and Cobra Effect for the release of “The Zound (Energy Flash),” which was released on Fly Eye Records. We discuss future collaborations and releases, follow-up release plans, back-to-back DJ sets, what’s to come throughout the remainder of the year, and where Moguai sees himself five years from now in this exclusive interview. The Nocturnal Times: When did you first begin your exploration of dance music? Who were some of your earliest inspirations? Moguai: I remember to visit an alternative bar in Düsseldorf, Germany back in the early 90’s. There was a new kind of sound playing there that I immediately felt affected to. My first real inspiration was Laurent Garnier. TNT: Have your musical influences changed over the course of your career? Who are some of your biggest influences today? Moguai: Well, I was always amazed by the techno genre and its pioneers, such as Sven Väth, Adam Beyer, Laurent Garnier and many more. These of course changed their sound over time and so did I. But what they never lost was their character of choosing music in their sets. This is what keeps them hot even nowadays, 25 years later. And that has nothing to do with popularity. It’s a way of saying: This is who I am, this ia who I was. And I won’t change it. This kind of attitude, especially in today’s world of music, is quite fascinating. TNT: You’ve recently joined forces with Joey Beltram and Cobra Effect on “The Zound (Energy Flash),” which was released May 4 on Fly Eye Records. How did this come to fruition? Moguai: ‘The Zound’ was a huge collaboration project. I have always been very fond of the Acid genre and after landing such a huge hit with ‘ACIIID’ in 2014, I knew I wanted to go back and do something fresh with this. Then I met Cobra Effect, huge talents from Los Angeles and we sat together to create ‘The Zound’. The original ‘Energy Flash’ by Joey Beltram was always one of my favourite techno acid tracks, especially with is riff that leads the track. We wanted this for today’s music world, yet keep the character of the original. Joey liked it and we were able to get together and finish this. We were all very happy about the outcome. TNT: What can you share with readers of The Nocturnal Times about your experience making the track? Moguai: Like I said, the original was an ear catcher throughout its time and is a classic nowadays. My first release was an acid track as well, released on one of my favourite acid labels at that time. So my attraction to the genre is still very present. What we needed was a sound to fit the stages of the 21st century and for this, we needed to modernize some parts of the original. This worked quite easily; giving us the feeling we were on the right track. We worked on this track in Cobra Effect’s studio in Hollywood and we got the legend Joey Beltram to chip in with his knowledge, which boosted out confidence. TNT: Do you have any plans for a follow-up release yet? What’s in the works for Moguai as far as upcoming productions, collaborations, or remixes? Moguai: Yes, I’m already in Los Angeles again working on a follow up with Cobra Effect. I’m also working on a remix for DVBBS at the moment, the collaboration with Dimitri Vegas & Like Mike, which is in its final stages and a really cool track with French producer and DJ Watermät, which I’m looking forward to release soon. TNT: What does a typical studio session entail for Moguai? Do you have any routines or rituals in the studio or before your gigs? Moguai: There’s no real routine, since the starting point may vary from creating drums first then going to a melody or theme or the other way around. One thing however, that does have to happen ist, that creating the idea has to be a fast act. So, I rarely need more than 60 minutes to come up with the idea and solidify it to a point where I say that it will most certainly work. Ever so often, if this works out for me, it does work out for millions of others as well, which is a great thing. All the rest of the procedure may vary in length then, sometimes a track comes to life in one night, sometimes it takes a couple of months. TNT: What are some of your favorite electronic albums of all time? Non-electronic? TNT: Who are some of your favorite vocalists that you desire to work with on future projects? Moguai: I love the voice of Example. Would be great to get together with him one day. Other than that I’m not really into big names and singers to present a musical idea. I feel that a vocal needs to fit my track and just needs to sound good. Then it really doesn’t matter who is singing. TNT: Given the opportunity to play a back-to-back- set with any DJ, who would you choose and why? Moguai: Definitely Fatboy Slim. I just love how he selects his music in his rare live sets. I have a similar way of deciding when to play which track. He is a great crowd reader what makes a DJ really stand out nowadays. TNT: What do you and your fans have to look forward to throughout the remainder of 2015? Moguai: I have the release with Watermät almost ready to go and I’m working on quite a few more releases this year. One of which will be on one of my favourite labels, mau5trap. I do have a great share of history with that label and I’m eager to return. TNT: Where do you see Moguai five years from now? Moguai: I still want to be very active the way I’m now. Djing and music production will hopefully still be the main factor in my life. I want to have released at least two more albums, have my first #1 in the US (fingers crossed) because I’ll still go by the great motto of my good friend Westbam: We never stop living this way.